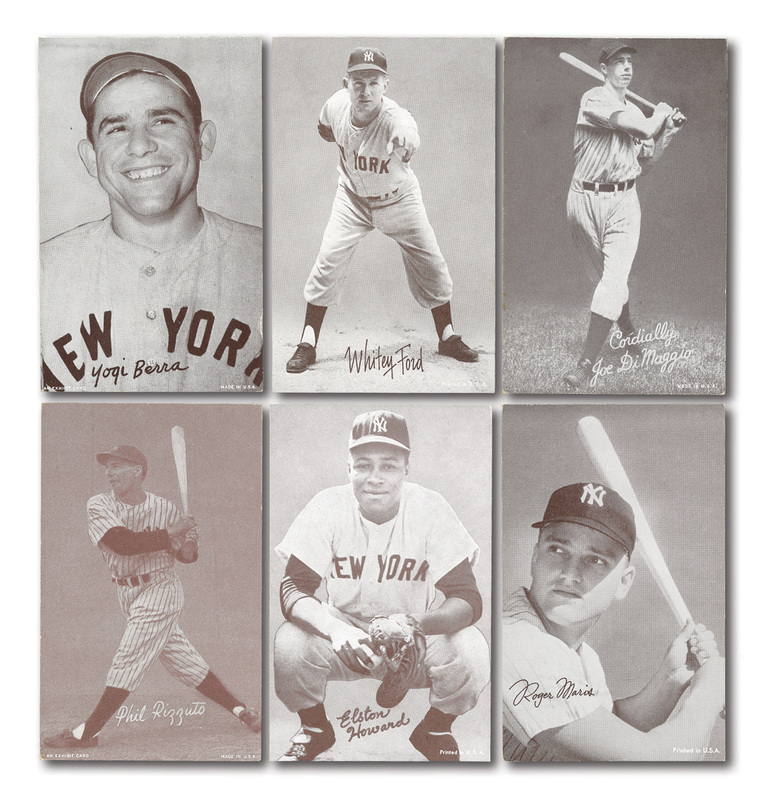 Quality group of exhibit cards featuring a who’s who of Yankees legends. 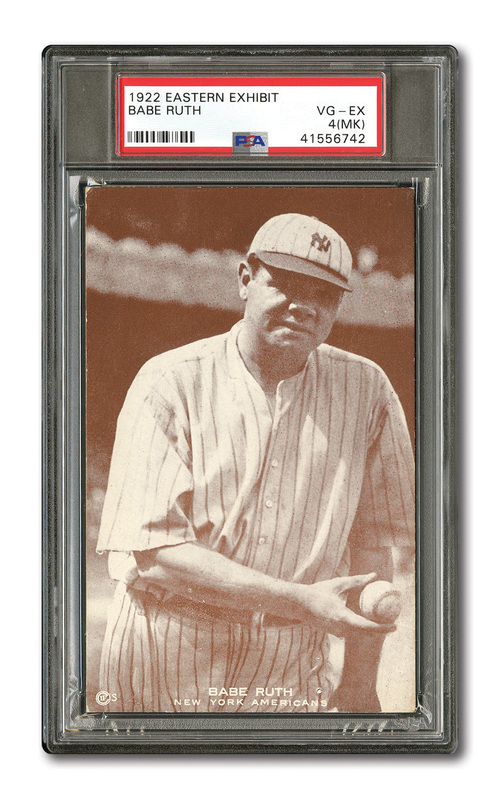 The highlight is a 1922 Eastern Exhibit Babe Ruth PSA graded VG-EX 4 (MK). 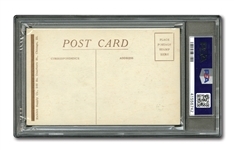 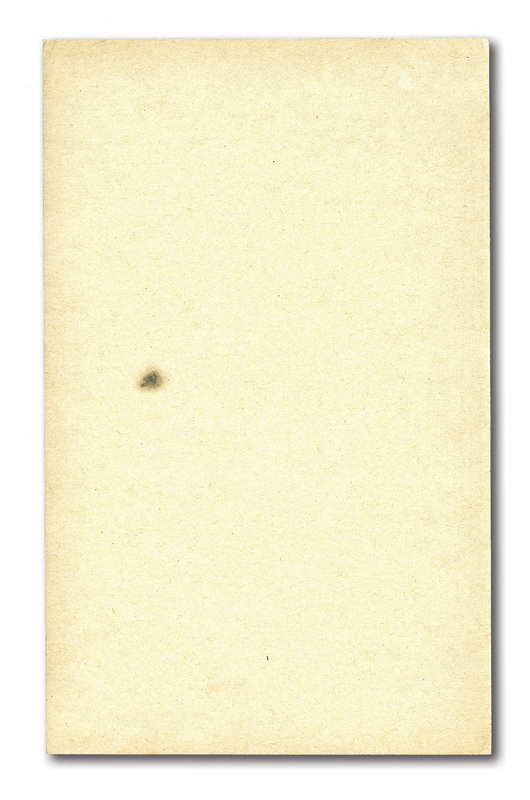 This is an outstanding mid-grade example of the key card from the sepia-toned 1922 Eastern Exhibit series. 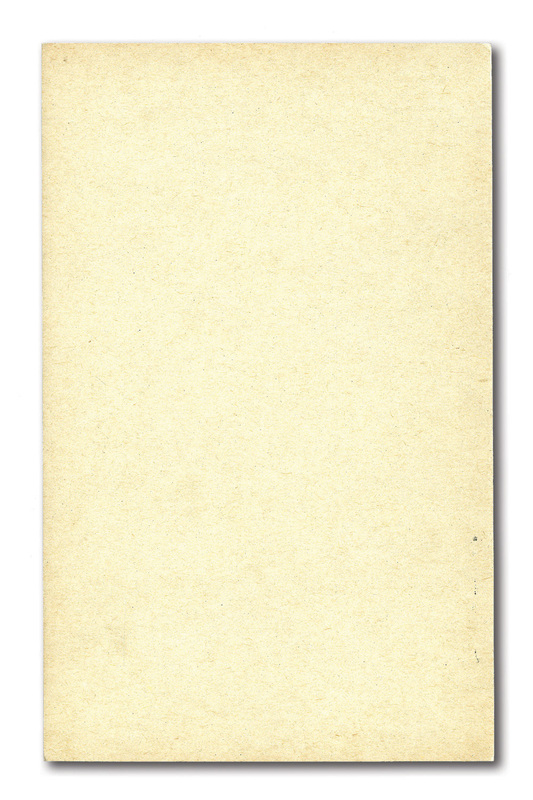 The card is bright and clean with modest corner wear. 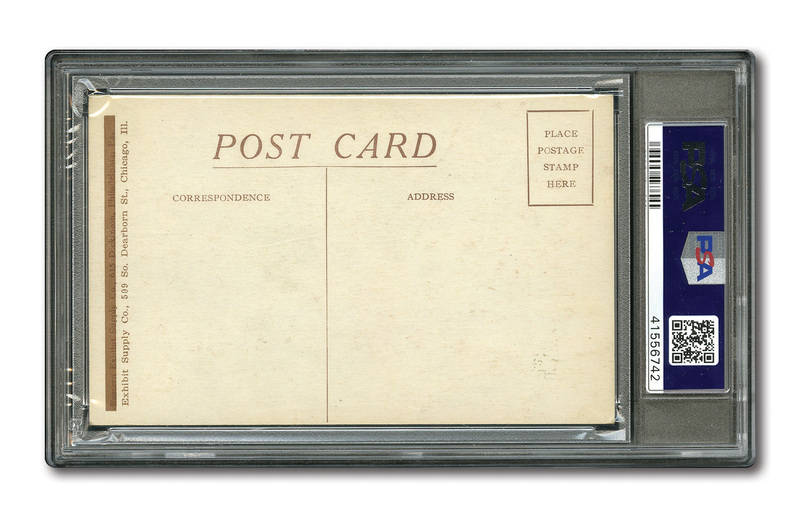 The postcard-style reverse is unmarked and for the life of us, we cannot detect the reason for the MK qualifier. 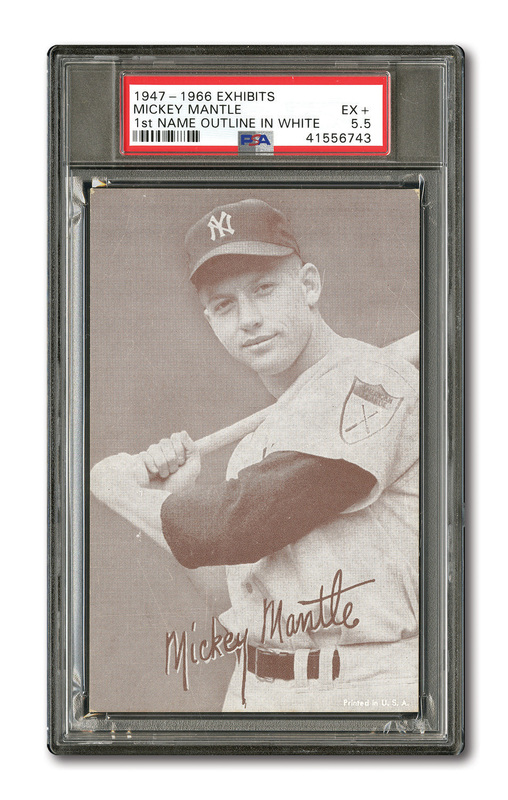 Also included in the lot is a 1947-66 Exhibits Mickey Mantle (1st Name Outline in White) PSA EX+ 5.5. Additional 1947-66 Exhibits include Joe DiMaggio, Whitey Ford, Yogi Berra, Phil Rizzuto, Roger Maris (stats on back) and Elston Howard. 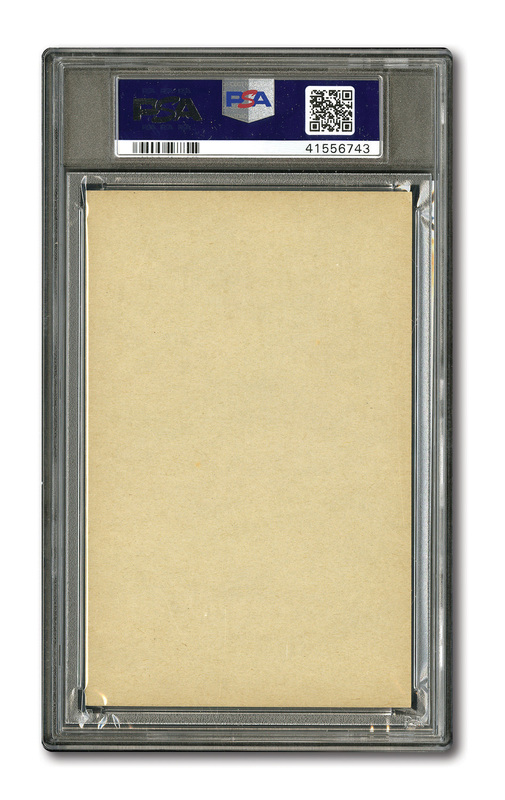 This group averages EX-MT condition. 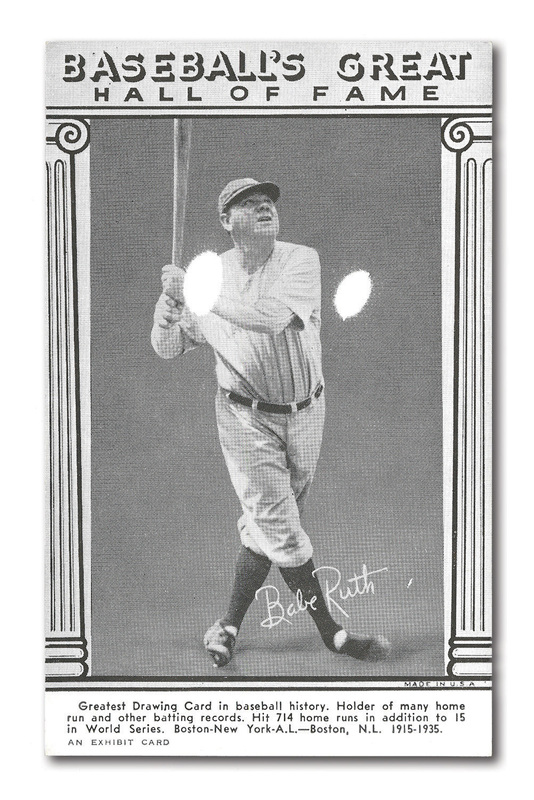 Rounding out the group is a pair of 1948 Baseball's Great Hall of Fame Exhibits including Babe Ruth BATTING (EX-MT) and Lou Gehrig (EX). 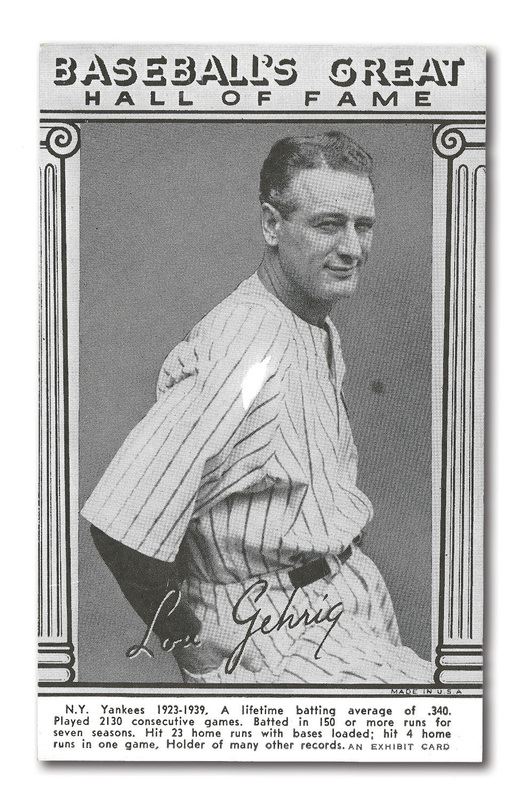 All in all, this is a very substantive group of vintage exhibits featuring some of the greatest Yankees players from several generations.